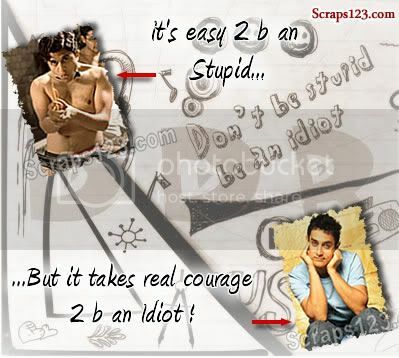 Enjoy the 3 Idiots funny pics and share it with your friends. 3 Idiots is a 2009 Bollywood comedy film. 3 Idiots stars Aamir Khan, R. Madhavan, Sharman Joshi, Kareena Kapoor. It is the "highest grossing Bollywood movie of all time.